Prepared vinegar; useful for any dishes such as sushi or vinegared food. Use as prepared vinegar for sushi, vinegar food or marinade. 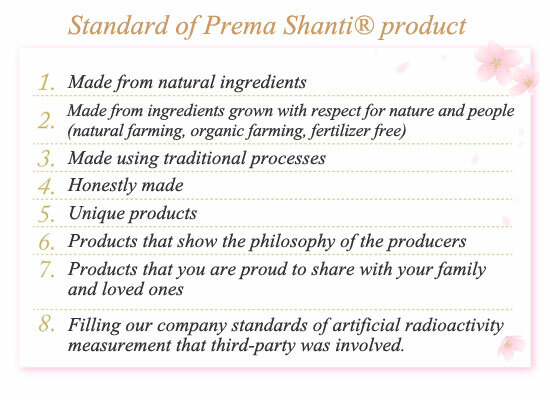 The ingredients are only organic rice vinegar, organic sugar, salt and dried kelp. 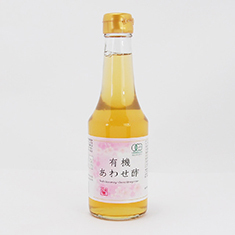 This is prepared vinegar with mild and deep taste of organic pure rice vinegar. First of all, sake is made of using contract culture organic rice, and then it has been aging for a long period to make it organic pure rice vinegar by still standing fermentation method. In this way, grown by the sun and the earth, this vinegar has power of nature to bring out nutritious rich taste from the other. We take a time for the fermentation and maturation process by the skill of making vinegar succeeded from generation to generation for 300 years and more. We “bring vinegar up carefully” as if you bring your children up. This has the original taste of Japanese traditional seasoning grown up together with four seasons. The taste is simple, so it is good taste. This vinegar is real one, and that means only the small amount of this vinegar can bring out the original taste of the food itself. For sushi vinegar: Mix this prepared vinegar as your favor with freshly cooked rice. Mixing them together while cooling it down. For marinade juice: Marinate lightly boiled vegetable with spices such as pepper, bay leaves and so on.